Brand: Norpro N-357 Units: 1 cloth / 2 sq. 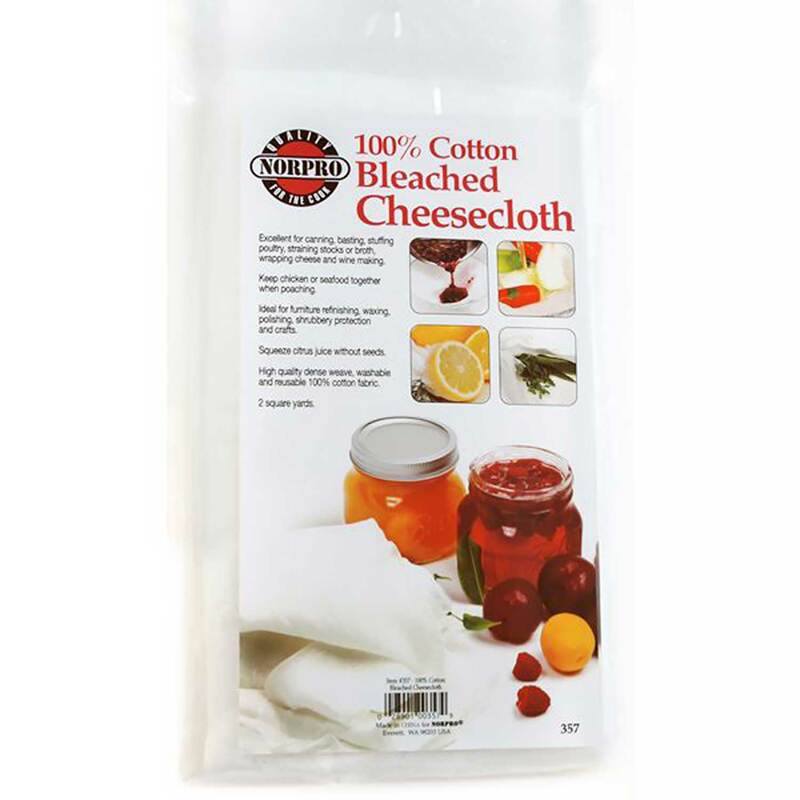 yards Cheesecloth is multipurpose and can be used in the kitchen for basting, poaching, straining, canning, and wrapping cheese. The cloth has a dense weave and can be washed. Cheesecloth is multipurpose and can be used in the kitchen for basting, poaching, straining, canning, and wrapping cheese. The cloth has a dense weave and can be washed.